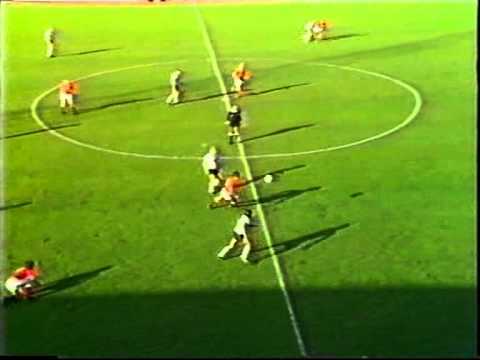 When Port Vale recorded their biggest ever victory over Swindon in 1960, the 6-1 result had far reaching consequences. Some four years after the match, Jimmy Gauld - the Town's goalscorer that day - admitted that he had helped to fix the match and many others, in selling his story to the Sunday People newspaper for �7,000. 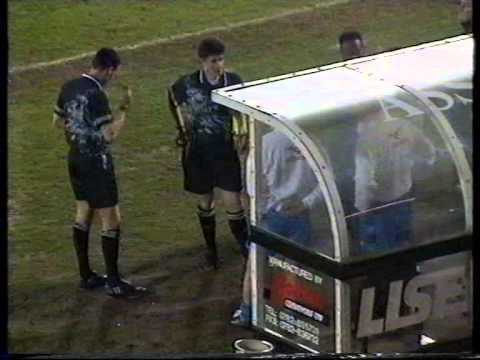 As the Town's club record signing at the time, it was somewhat of a surprise that Gauld was released at the end of the season, shortly after the game with Vale - he was eventually jailed for being the ringleader of the match-fixing group, along with other ex-Town players David Layne and Jack Fountain. 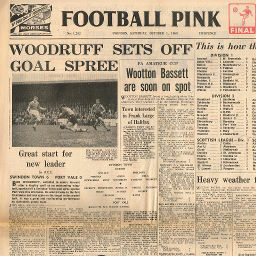 In the very next match between the teams, Swindon got some revenge by recording their own biggest victory against Vale - Bobby Woodruff scoring a hat-trick in a 6-0 win. 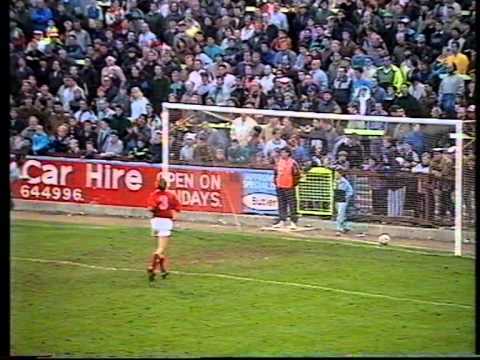 The two sides first met in the FA Cup back in 1906, when Burslem Port Vale, as they were then known, travelled to the County Ground for a tie in the Fifth Qualifying Round, returning to the Potteries with a 2-1 victory and a place in the First Round proper. 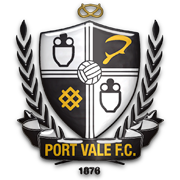 The Town give a "disastrous performance" at home to Port Vale - an Eamon O'Keefe chested goal giving the visitors a 1-0 victory in front of fewer than 3,000 fans. Chris Ramsey nets his first goal of the season - a diving header - as the Town record victory over Port Vale. 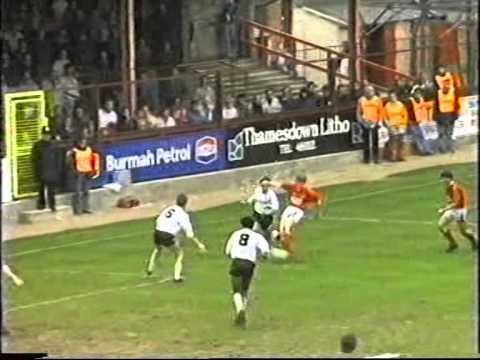 Colin Calderwood scores from the halfway line to set the Town on their way to a 3-0 win. 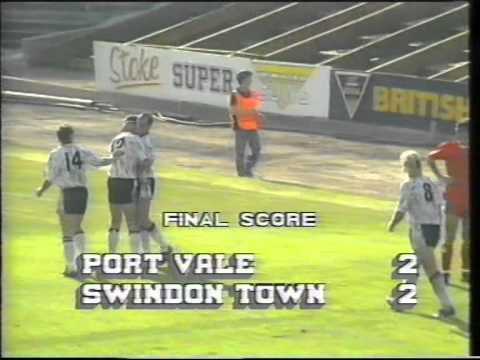 Darren Beckford makes amends for putting Swindon in the lead with an own goal - wrapping up a win for Port Vale win their second goal in three minutes for a 2-1 away victory for the Valiants. Swindon twice take the lead at Vale Park, but are twice pegged back - the final equalising goal coming just two minutes from time. Tom Jones' early goal is enough to seal victory over the Valiants. Swindon get the new season off to a decent start, comfortably seeing off Port Vale in front of the brand new Intel Stand. 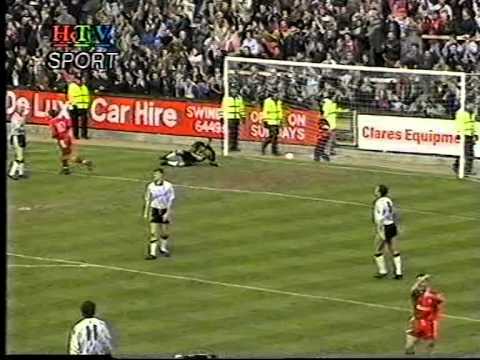 Swindon come from behind to lead at Vale Park, but McMahon is denied his first victory by Lee Glover. 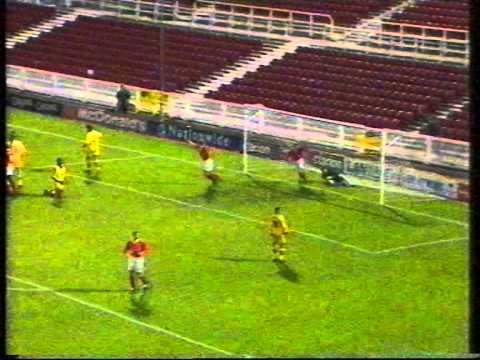 A rare strike from Mark Robinson gains a point for Swindon against Port Vale. The Town's poor form continues at Vale Park - Lee Mills' strike separating the sides. After going in one down at the break to a superb Lee Glover strike, a second half hat-trick from Chris Hay combined with a long range d�but goal from Craig Taylor turns the game around against the Valiants. 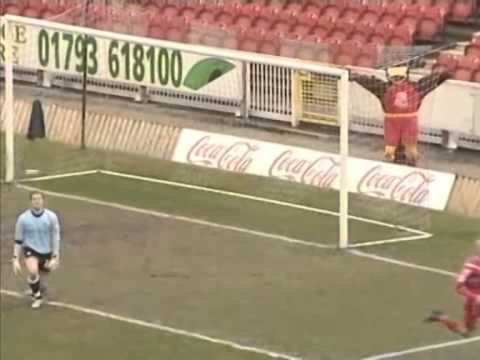 Lee Collins notches his first goal for the Town, McMahon is sent to the stands, and Steve Finney is forced to go in goal after Fraser Digby is stretchered off - but Swindon hold on for their third win in 17 matches. 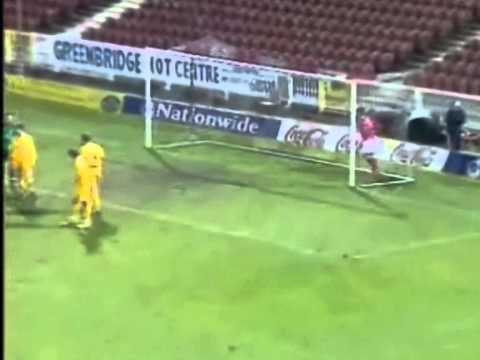 Swindon need an own goal to retrieve a point against Port Vale. 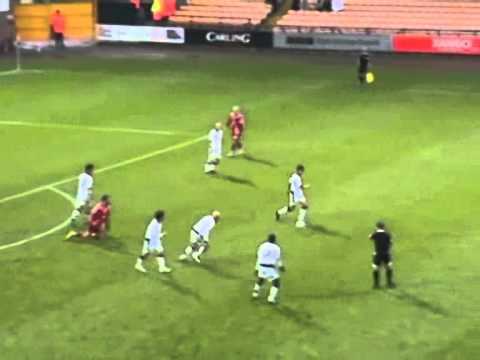 A great team move finished by George Ndah gives Swindon an early 1-0 lead at Port Vale, the Town then have to weather two storms - one the snow, the other an onslaught by the Vale attack - to hold on to the three points. 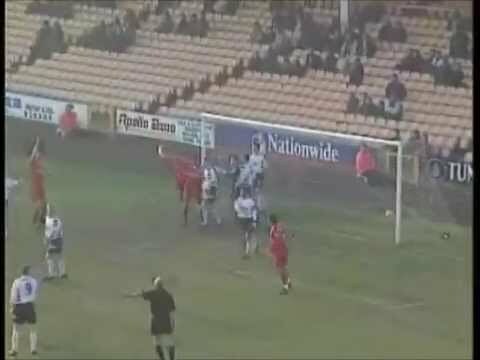 After making a save, Gareth Hall's clearance rebounds off Frank Talia and into the net, the second goal sealing victory for Port Vale. A first minute goal from Iffy Onuora, and a last minute goal from Giuliano Grazioli gives the Town a win over fellow strugglers Port Vale. Goals in each half, from Danny Invincibile and Matt Hewlett, give the Town a 2-0 win at Vale Park. 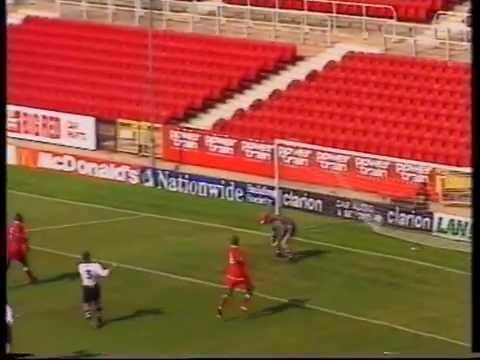 Two quickfire goals just before half-time puts Swindon well in command against the Valiants. 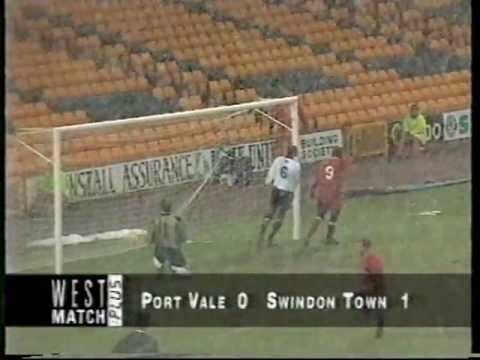 Despite Andy Gurney's opening goal, and a Port Vale sending off with fifteen minutes to go, Mark Bridge-Wilkinson's double condemns Swindon to their fourth successive defeat. 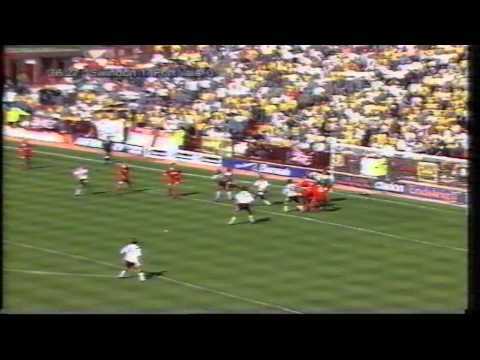 Goals for each side either side of half-time leave this game all square. Swindon stop the rot against Vale - but the game remains goalless. After future Town striker Billy Paynter gives Vale the lead, Stephen McPhee scores twice more to give the home side a seemingly unassailable three goal cushion with half an hour remaining. 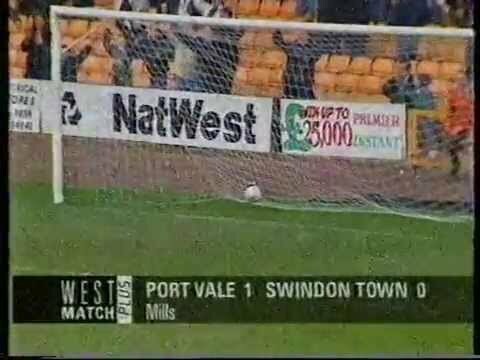 Swindon go down by the odd goal at Vale Park. The Trust's Red Army Fund funds the signing of striker Michael Proctor on loan - and the new boy nets a winning goal against Port Vale, which puts the Town on the fringes of the play-off spots. 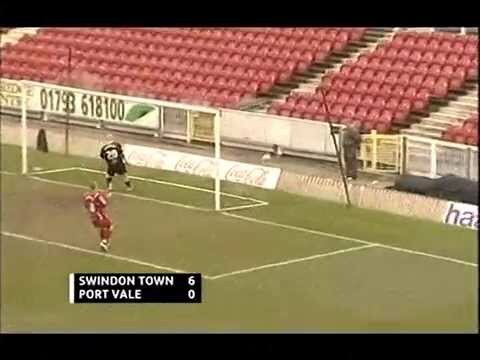 Rory Fallon gives the Town the lead midway through the first half (prompting a FIFA style shooting celebration) - but Swindon's luck is out when a free-kick is deflected wildly into the net - then loanee keeper Tom Heaton completely misjudges a long ball to hand Port Vale a victory they scarcely deserve, and Swindon a club record eighth defeat on the trot. 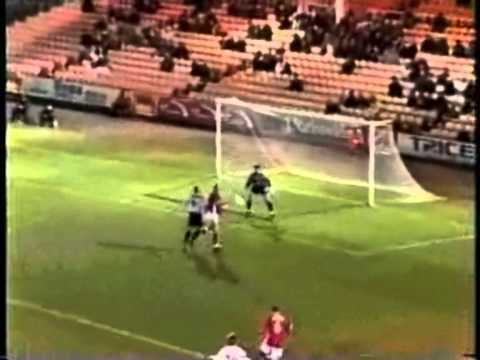 Michael Husbands' goal three minutes from time denies Swindon an important victory. 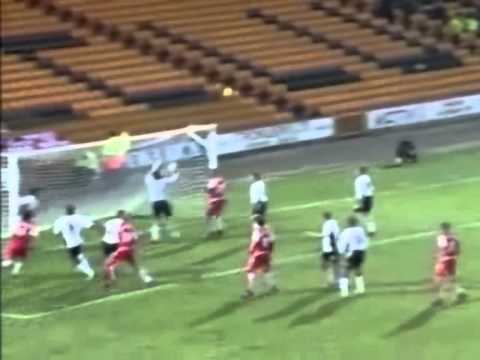 All of the goals are pack into an eight minute first half spell - Port Vale winning the game 2-1. Swindon make it nine goals without reply in their last two home games - slaughtering already relegated Port Vale by six goals to nil. 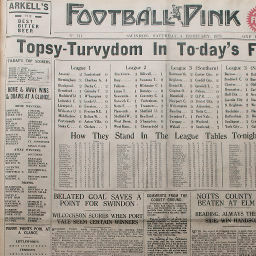 Click to view a newspaper report of Swindon's 0-2 defeat at Port Vale in the 1938-1939 season. 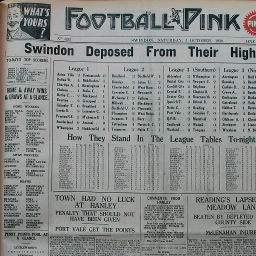 Click to view a newspaper report of Swindon's 1-1 draw against Port Vale in the 1938-1939 season. 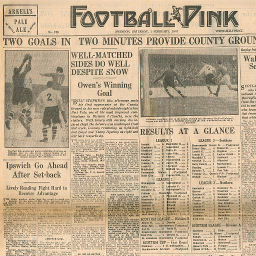 Click to view a newspaper report of Swindon's 1-1 draw at Port Vale in the 1946-1947 season. 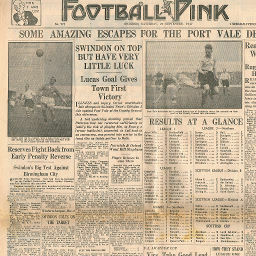 Click to view a newspaper report of Swindon's 2-1 win against Port Vale in the 1946-1947 season. 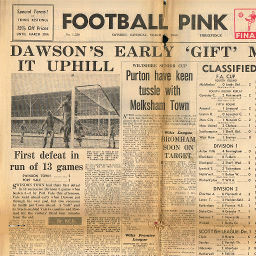 Click to view a newspaper report of Swindon's 1-0 win against Port Vale in the 1947-1948 season. 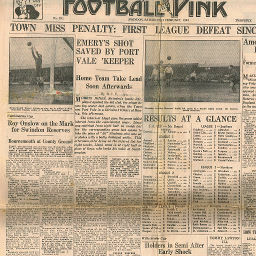 Saturday, February 14, 1948 TOWN MISS PENALTY: FIRST LEAGUE DEFEAT SINCE 1 NOV.
Click to view a newspaper report of Swindon's 0-1 defeat at Port Vale in the 1947-1948 season. 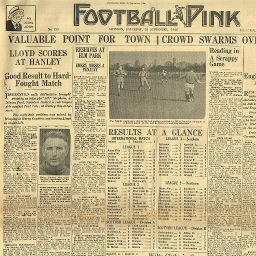 Click to view a newspaper report of Swindon's 0-0 draw against Port Vale in the 1949-1950 season. 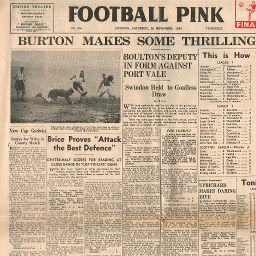 Click to view a newspaper report of Swindon's 1-0 win at Port Vale in the 1949-1950 season. Saturday, September 30, 1950 ONE IN "PORT" IN 3 MINS. 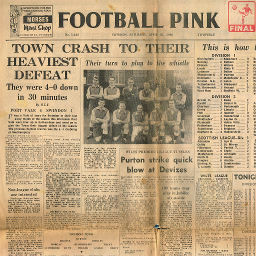 Click to view a newspaper report of Swindon's 1-2 defeat at Port Vale in the 1950-1951 season. 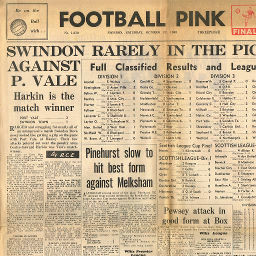 Click to view a newspaper report of Swindon's 2-1 win against Port Vale in the 1950-1951 season. 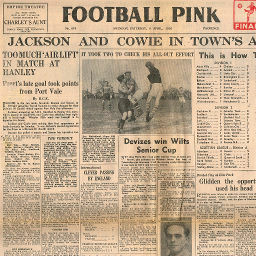 Click to view a newspaper report of Swindon's 2-2 draw at Port Vale in the 1951-1952 season. 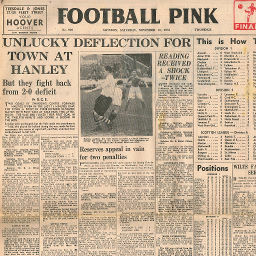 Click to view a newspaper report of Swindon's 1-3 defeat at Port Vale in the 1957-1958 season. 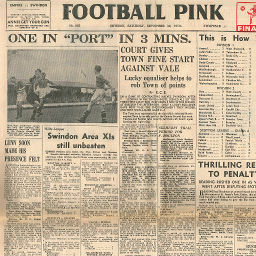 Click to view a newspaper report of Swindon's 0-0 draw against Port Vale in the 1957-1958 season. 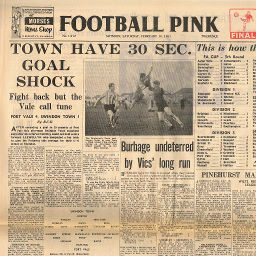 Click to view a newspaper report of Swindon's 2-3 defeat against Port Vale in the 1959-1960 season. 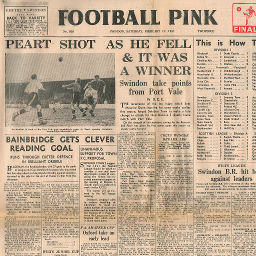 Click to view a newspaper report of Swindon's 1-6 defeat at Port Vale in the 1959-1960 season. 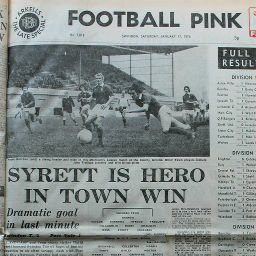 Click to view a newspaper report of Swindon's 6-0 win against Port Vale in the 1960-1961 season. 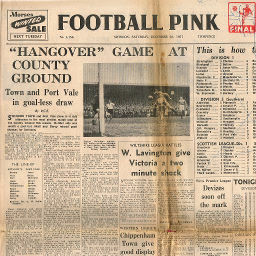 Click to view a newspaper report of Swindon's 1-4 defeat at Port Vale in the 1960-1961 season. 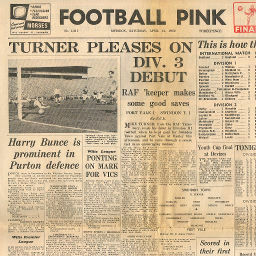 Click to view a newspaper report of Swindon's 1-1 draw at Port Vale in the 1961-1962 season. 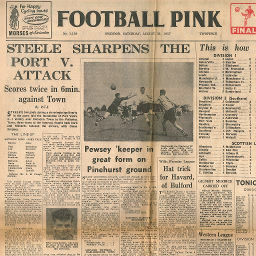 Click to view a newspaper report of Swindon's 1-2 defeat at Port Vale in the 1962-1963 season. 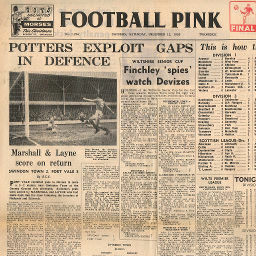 Click to view a newspaper report of Swindon's 2-3 defeat against Port Vale in the 1962-1963 season. 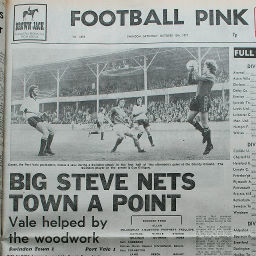 Click to view a newspaper report of Swindon's 2-2 draw at Port Vale in the 1974-1975 season. 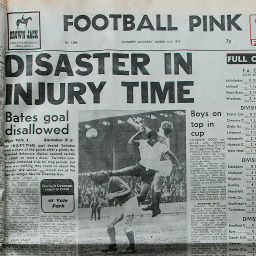 Click to view a newspaper report of Swindon's 0-3 defeat at Port Vale in the 1975-1976 season. 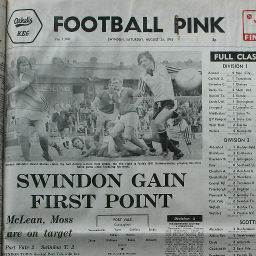 Click to view a newspaper report of Swindon's 2-1 win against Port Vale in the 1975-1976 season. 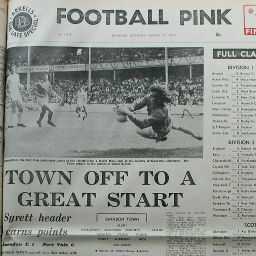 Click to view a newspaper report of Swindon's 1-0 win against Port Vale in the 1976-1977 season. 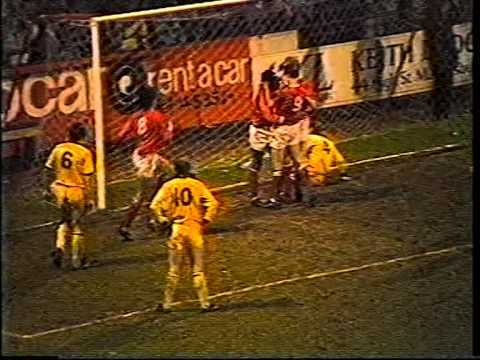 Click to view a newspaper report of Swindon's 2-2 draw at Port Vale in the 1976-1977 season. 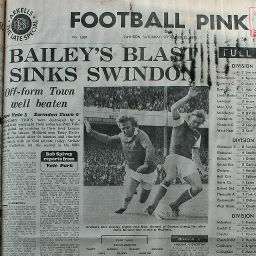 Click to view a newspaper report of Swindon's 1-1 draw against Port Vale in the 1977-1978 season. 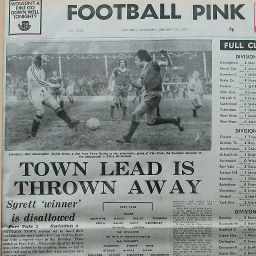 Click to view a newspaper report of Swindon's 0-1 defeat at Port Vale in the 1977-1978 season.